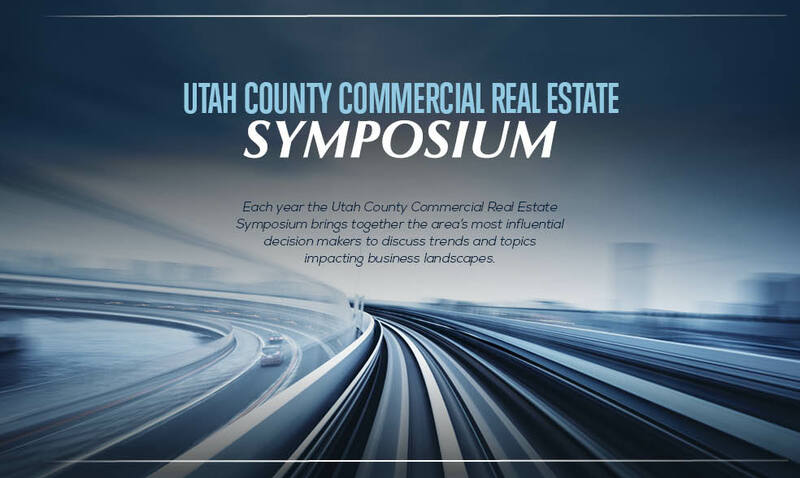 The 2017 Commercial Real Estate Symposium was held February 28 at the Utah Valley Convention Center. Attendees listened to updates from leading commercial real estate brokers on the state of the market. Key focus areas included transportation, retail, industrial, office space and land. John Petersen, Jarrod Hunt, Stuart Thain and Mary Street, all brokers with CBC Advisors presented. Presentation slides are available here. Lew Cramer, President/CEO of CBC Advisors, moderated a panel discussion on transportation needs in Utah County to sustain the rapid growth. Shane Marshall, UDOT Deputy Director, Mary DeLaMare-Schaefer, UTA Timpanogos Regional Manager, Derek Miller, President/CEO World Trade Center Utah, and Steve Gleason, Airport Manager, Provo Municipal Airport each brought their specific areas of knowledge to the topic of transportation. Clint Betts, Executive Director and Editor-in-Chief at Silicon Slopes and Beehive Startups provided an update on the tech and tech startup industry as the keynote speaker.